I met Chef Richard Diamonte before having dinner at the restaurant in late April 2013, one year after he opened his restaurant. Extremely talented and creative in the kitchen, it was interesting to learn how he arrived as a chef and restaurateur. His dream was to play baseball, and was talented enough to receive a baseball scholarship to play center field for a college in Washington, DC. 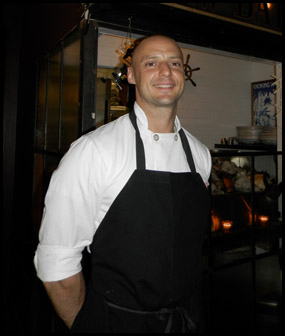 However, it was while he was at college, that his passion for fine dining and restaurants evolved. He enjoyed the energy, the busyness of restaurants, and decided that perhaps culinary school was where he belonged. He enrolled at The Art Institute of New York Citywhere he graduated from the culinary arts program, and had the good fortune to receive an externship with the renowned Chef Jean-Georges Vongerichten. He parlayed that externship into a full time position working his way up the culinary ladder for 10 years at three of Chef Jean-Georges' restaurants, The Mercer Kitchen, Nougatine at Jean-Georges, and the pinnacle of elegant fine dining, the three star Michelin, Jean-Georges. He loved working with Jean-Georges where he learned technique, finesse, timing, speed, and quality of product, as well as working in a formal kitchen. After ten years, it was time to venture out, to have culinary freedom, and to develop his vision. His focus for Ken & Cook Restaurant & Bar is to create a very good product, yet keep it accessible and available to more customers. After one year of ownership under his "apron," he is happy that the restaurant is executing what he set out to do. The menu is stronger, more solid, as it was hard to leave a three star Michelin restaurant without wanting to do some of it. The importance was finding balance and not carried away. He changes the menu about six times per year or whenever seasonal items, like ramps, the herald of spring, become available. He finds spring the most interesting of the seasons, for the wide variety of products and bright green colors, especially after the long winter months of dark root vegetables. Although the restaurant keeps him too busy to have any hobbies at the moment, he does ride his bicycle to work every day, and goes to the gym, something needed for chefs who spend long hours standing bending over counters and stoves to create the food that we love to eat. 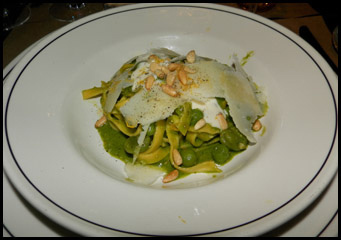 Chef Richard Diamonte graciously shares a delectable taste of his restaurant, with his recipe for Fettuccine Pesto Peas. Method: Blanch the basil for exactly 1minute in a large pot of boiling water. Shock and squeeze out all water. Place oil, basil, lemon, chili, and garlic in vita prep (or food processor) and puree for 2 minutes until very smooth and bright green. Add pine nuts and pulse until chunky consistency. Place in a bowl over ice and cool immediately. Fold in cheese and season with salt and pepper. Method: Cook fettuccine al dente, and set aside. Heat oil in a pan, add garlic, shallot, and chili, and sweat until light golden. Add peas, fava beans, and sauté just until warm. Add pasta to the pan with a little pasta water. Add pesto and mint and toss through adding more water if needed. Garnish pasta with ricotta, pecorino, lemon zest, pine nuts, olive oil, and black pepper. 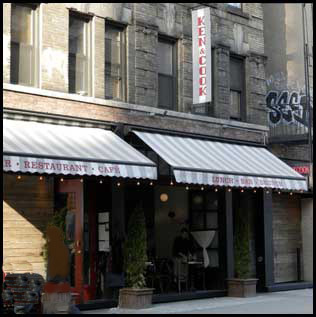 Ken & Cook Restaurant & Bar has the perfect combination of culinary excellence, attentive and knowledgeable wait staff, and a comfortable, welcoming ambience. The restaurant serves Lunch Monday through Friday from 11:30 am until 3:00 pm, Late Lunch on Saturday and Sunday from 3:00 pm until 6:00 pm, Brunch on Saturday and Sunday from 11:00 am until 4:00 pm, Dinner Sunday through Thursday from 5:30 pm until 12:00 am, and on Friday and Saturday from 5:30 pm until 1:00 am. 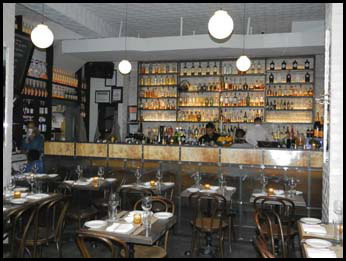 Read about our dining experience at Ken & Cook Restaurant & Bar in the Restaurants section. Follow Luxury Experience on Facebook at www.Facebook.com/LuxuryExperience to see more photos from our dining experience at Ken & Cook Restaurant & Bar.